The February 13th, 2015 Wall Street Journal story spotlighted many of the rumors around the developments behind Apple going into the car business. Framed around challenging Tesla Motors, the story discussed how the Cupertino juggernaut may be putting together an Apple branded electric vehicle. Vice President Steve Zadesky of iPod and iPad fame is said to be leading the charge with a mandate to hire up to 1000 folks both internally and externally for the code named Titan project. Apple has neither confirmed nor denied any elements of the Wall Street Journal story (see Video 1). While there have been key hires across the board with auto experience and that’s one part of the equation, the other part is reimagining the broader digital lifestyle in new pallettes. Stripping away the hype and focusing on the Apple core, Constellation believes this is about finding new markets for Apple’s operating systems. Similar to how mobile put Apple back on the map for not just a device, but also an operating system with an ecosystem, Apple sees cars, homes, and other areas of the digital lifestyle as opportunities to embed the operating system and build out new networked economies. The focus on continuity of experience is at the heart and soul of Apple. This is the foundation behind health kit, home kit, watch kit, and car play. Apple is focused on delivering its ubiquitous experience from walking outside, checking your wrist, to hopping in the car, making a payment, to the in home experience. The car puts Apple’s OS in the proverbial driver’s seat. Unfortunately, putting together an auto company is not an easy thing to do. The barriers of entry are high for most prospective entrants. Tesla couldn’t pull it off without all the government subsidies and tax write offs, including carbon credits in California. Apple is one of the few companies in the world who have the cash and the ability to pull the know how together. However, the car may be the concept that becomes a platform others build on. Apple may not get into the car business but they may provide all the pieces required to deliver the new digital experience for auto makers to build on top of. If they choose this route, they can create another area of the Apple OS to grow market share and increase an already impossibly high total addressable market. Ready for a car from Apple, Google, or someone else? 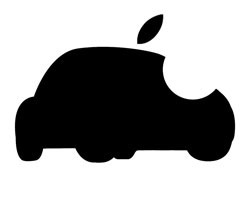 Think Apple can disrupt the auto world with a car? Add your comments to the blog or reach me via email: R (at) ConstellationR (dot) com or R (at) SoftwareInsider (dot) org. The post News Analysis: Rumors On Apple’s Foray Into Cars “Project Titan” appeared first on A Software Insider’s Point of View.